Hi there, good day. 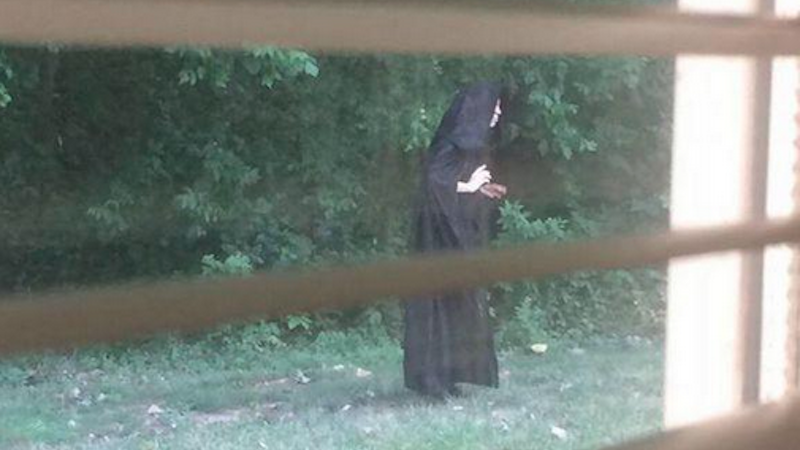 Sorry to agitate your dreams for the next month, but an anonymous cloaked person—just your average Joe, really—is leaving gifts of raw meat at the outskirts of a local playground in Gastonia, North Carolina. According to Uproxx, our meat-bestowing buddy pictured above may be “some LARPer playing a prank.” As this particular LARP endeavor involves dressing like a dementor and depositing uncooked animal parts near a playground, I’m not especially comforted. If this is a pagan ritual, as others have suggested, well, do your thing. But said thing is still creepy as hell. And maybe choose a location where curious little humans won’t investigate your unsanitary offerings? Gastonia police are investigating Meat Cloak and have spoken with the manager of the nearby apartment complex, but neither identity nor motive have been confirmed. In the meantime, Twitter-folk have been vocal about the matter. Others have been inspired artistically, though I think this likeness requires a sack of raw beef to be truly complete. Now that we’ve covered the sort of news story that seems most appropriate for “Sick, Sad World,” you can sally forth with your Tuesday. And I, tonight, will hold my cat very, very close. Top Screengrab via Twitter. Embedded Images via Twitter/Instagram.